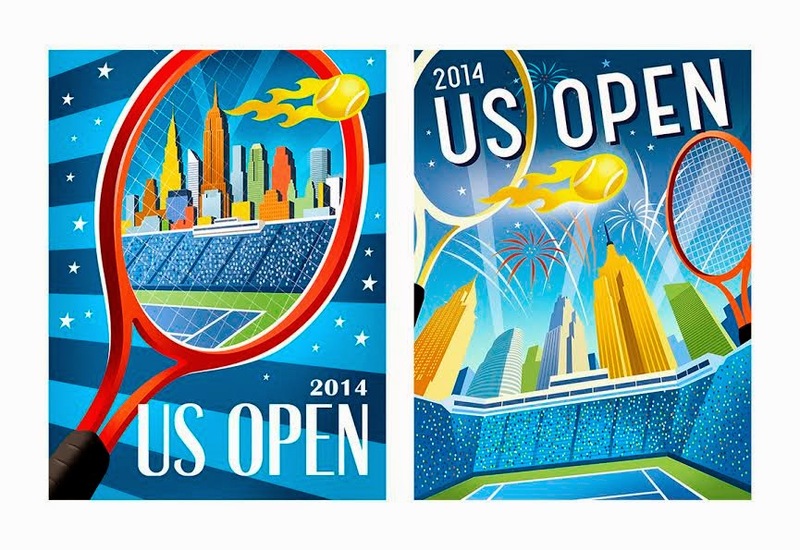 The Big Apple Circus, aka, The U.S. Tennis Open, is back for its annual 2 week run. And, if you live in the New York area you’ve probably seen the poster created by our very own Michael Crampton! 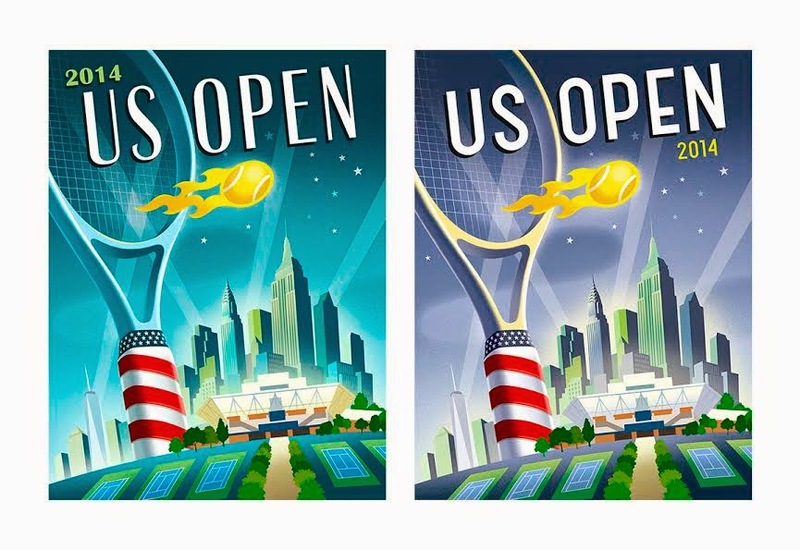 This is Michael’s second U.S. Open poster in the past three years. 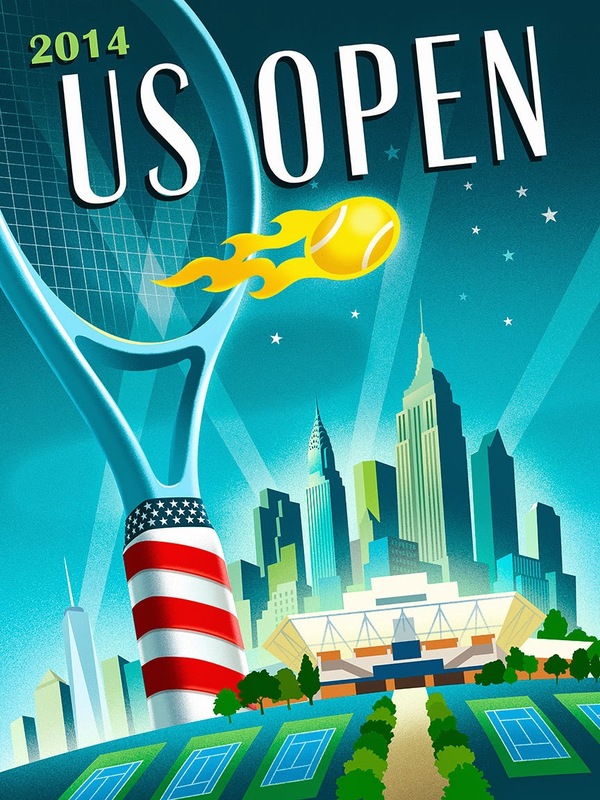 Each year the tennis association commissions a wide range of ideas from the industry’s top illustrators and Michael is a rare two time winner. 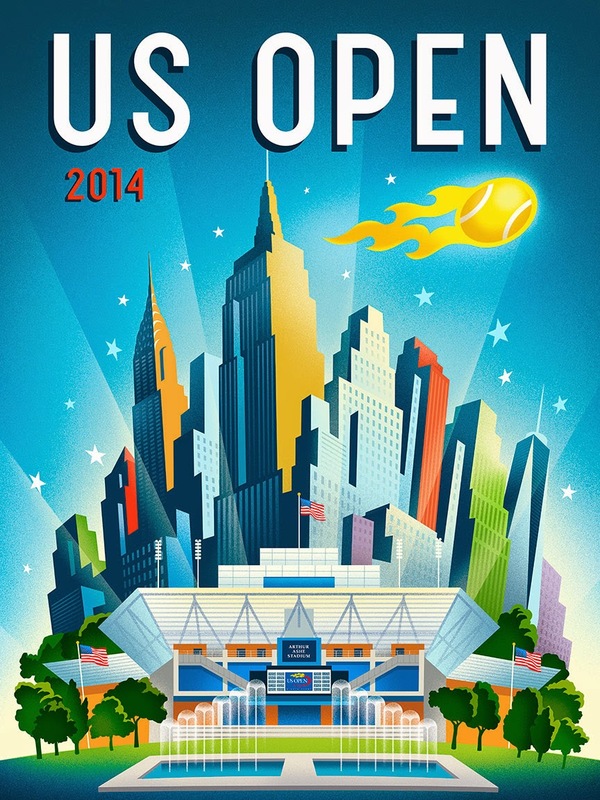 The USTA’s initial idea was to showcase the stadium from an alternative viewpoint, using a variety of color. Michael was able to provide his own concepts and creative ideas. We are delighted to share these initial comps and alternates with you, as well as the final poster art. CLICK HERE to view Michael’s Mendola portfolio. Make sure to follow us on Twitter, Facebook,Pinterest and Instagram (@MendolaArtists)!